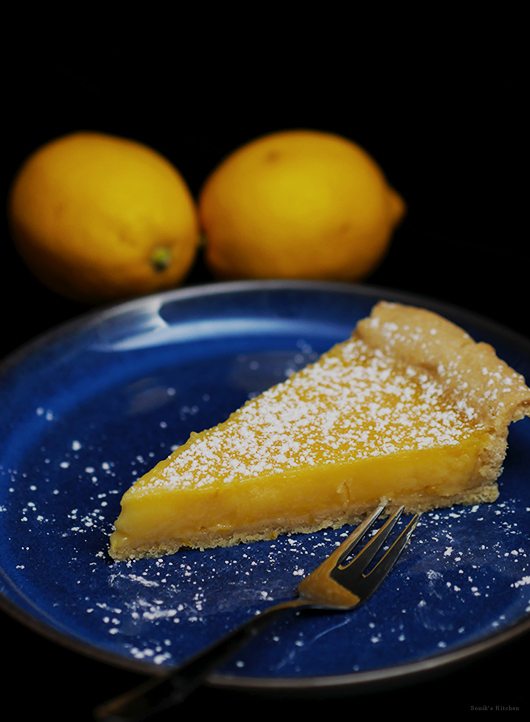 A traditional French-style lemon tart with lush and creamy lemon curd filling, one of those classics you have to bake at least once in your life. Of all the food triggers that can pop up in our lives there are a few that have done it for me more than others, and this dessert is one of them. Growing up, lemon tarts used to be one of my most favourite desserts. The buttery crust and zesty lemon curd filling was just the perfect balance of sweet and tartness. I remember, one of the few places that sold these lovely tarts back in the 90s in Bangalore was Nilgiris Cafe. Back then there were not many cafes where we lived, so whenever Mum used to take me to the Nilgiris in Brigade road, this was the only thing I would order. So to evoke my childhood memories I decided to make this decadent treat. Step 1 For the shortcrust pastry – Sift the flour and add a pinch of salt into a large bowl. Drop the cold cubed butter in, rub it gently with your fingertips into the flour until you get a bread crumbs consistency. Step 2 Now add in the zest of a lemon and caster sugar, mix it well. Step 3 Add a tablespoon of water and crack in an egg and knead this into a dough until it is smooth and has no cracks. Step 4 Wrap the dough in cling film and refrigerate for at least an hour. Step 5 In a lightly floured surface, gently roll out the pastry and lay it onto a round loose bottomed tart tin. 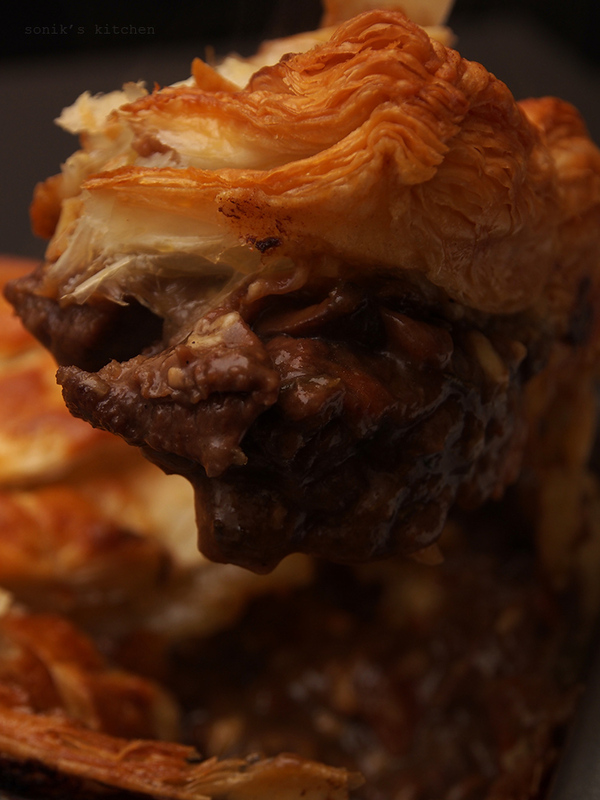 Gently tuck in the corners and leave a bit of extra pastry around the edges. Step 6 Leave it in the fridge for 30 minutes. Preheat the oven to 170 degrees C .
Step 7 Place a baking sheet over the tart and fill with baking beans/ raw rice. Bake it for 15 minutes in the preheated oven until the edges have turned golden. Step 8 Remove the tart from the oven, gently lift the baking sheet and keep the rice or beans for future baking endeavours. Trim the excess pastry from the edges and return the tart in the oven for further 6-8 minutes. Set it aside to cool. Step 9 For the lemon curd filling – Reduce the oven temperature to 140 degrees C.
Step 10 Zest and juice the lemons. Crack the eggs into a large bowl and beat them. Add in the caster sugar and lemon juice, whisk them. Finish with the cream and whisk until everything has come together. Step 11 Pour this lemon filling into the pastry case. Carefully place it in the oven and bake for 35-40 minutes until the filling is just set and wobbles a bit in the middle. Step 12 Remove from the oven and let it cool completely. Transfer it to a serving dish and dust with icing sugar. 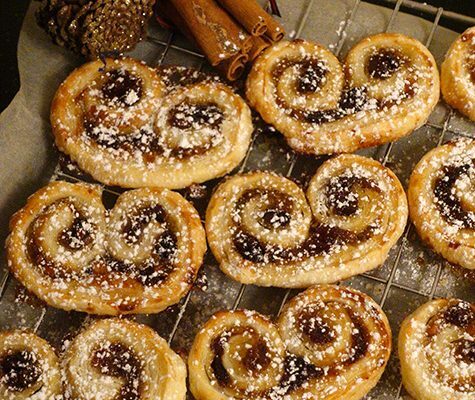 These palmiers are rich in flavour and super delicious. 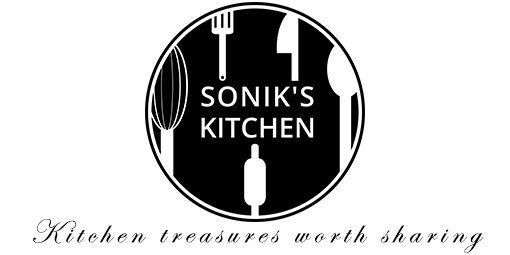 A great alternative to traditional mincemeat pies for Christmas.